Sharon Becker Creations: BUY 2 GET 1 FREE SALE starts today! 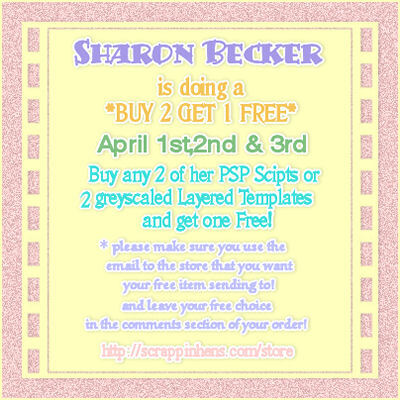 BUY 2 GET 1 FREE SALE starts today! that you would like the free choice going to! comments section of the order!